Check out this fabulous ring! 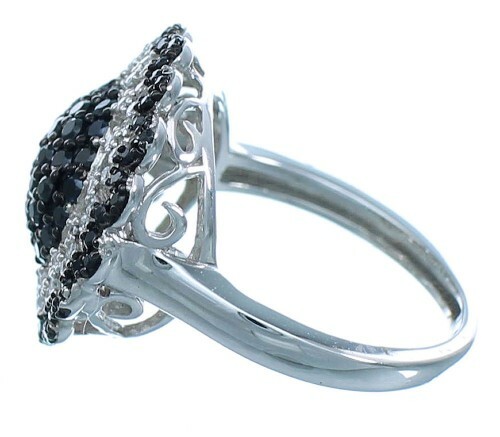 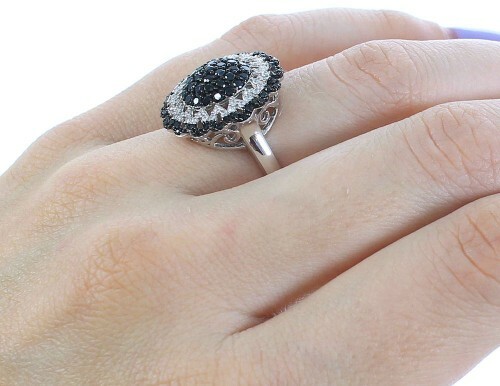 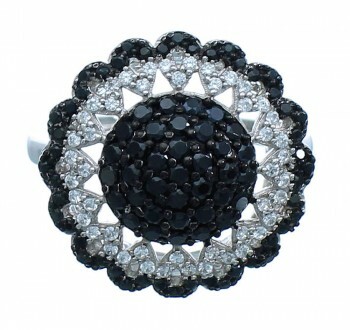 The ring is made out of genuine sterling silver, along with White and Black Cubic Zirconia stones. 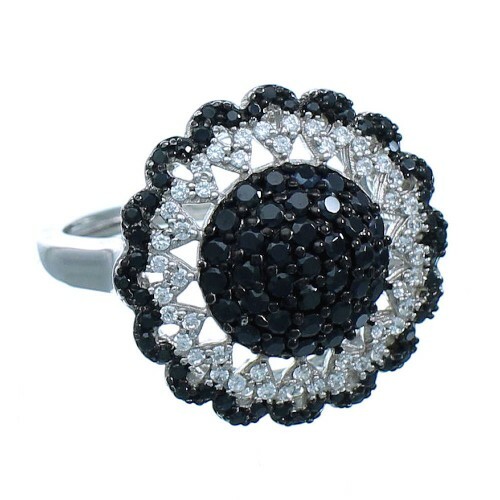 The ring has a total of ONE HUNDRED AND THIRTY stones, FORTY EIGHT of them are White Cubic Zirconia stones and EIGHTY TWO of them are Black Cubic Zirconia stones. Cut through designs can be seen accenting for a beautiful finish. 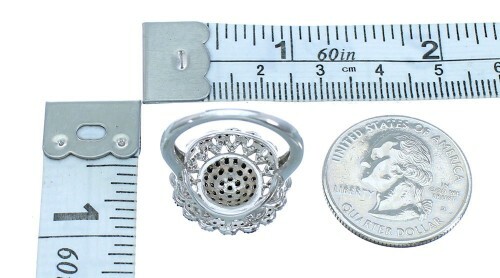 The ring is stamped .925 (sterling silver).